What’s a summer cookout or holiday dinner without potato salad? I love when my wife makes her famous potato salad! It’s so tasty and a great side dish that compliments almost any meal. However, I’d be lying if I said I didn’t suffer any consequences afterwards. This only inspired me to create my own IBS friendly version of potato salad. I find this recipe works well for me and you can barely notice the difference between the taste in this one and the traditional potato salad. 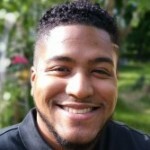 Try this out and let me know what you think! Bring a large pot of water to boil on high heat. Add a pinch of salt to the water. Cut the potatoes into quarters and add them to a boiling pot along with the eggs. Boil for about 15 minutes or until potatoes are soft. Chop 2 of the scallions and set aside for potato salad mixture. Chop the last scallion and set aside for garnish. Once potatoes and eggs are done cooking, strain and set the eggs aside for peeling. 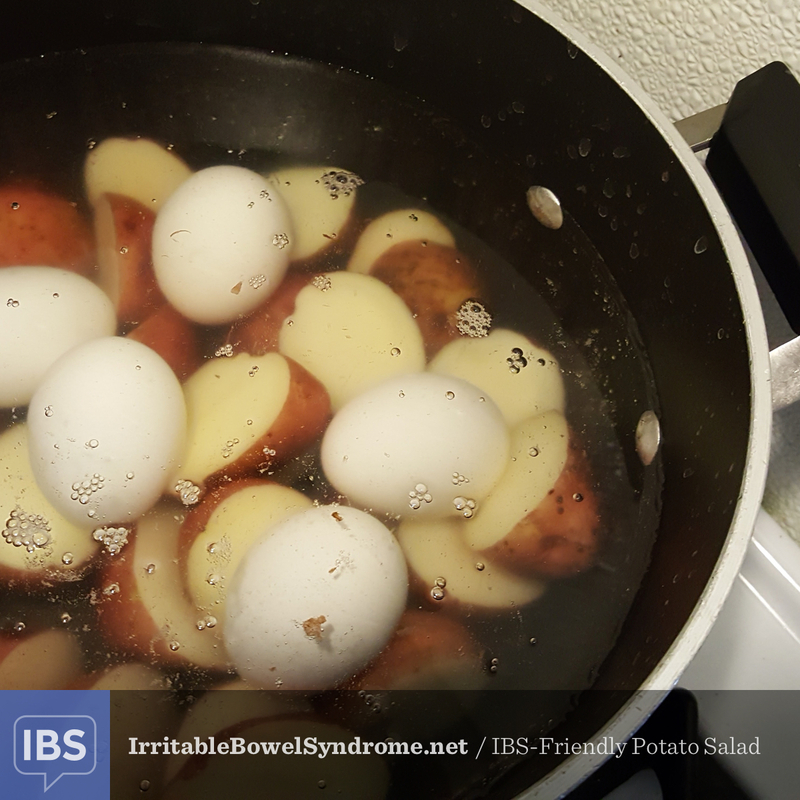 Add the strained potatoes to a large bowel for mixing. Mash with a potato masher until half smooth and half chunky. Peel the shell off the eggs and only put 3 boiled eggs into the potato mixture. Then add the mayo, salt, pepper, cumin, paprika, mustard, asafetida, vinegar, Worcestershire sauce, and the scallions, and mix until well combined. Take the remaining boiled eggs and cut them into slices. Place on top of potato salad as a garnish along with the remaining scallions as well. Cover and refrigerate for at least an hour or two so that it cools down. Disclaimer: We recognize that some ingredients listed in this recipe may be a trigger food for certain individuals. Please feel free to omit or substitute any ingredients that don’t work for you.